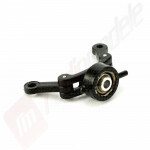 Ideale pentru orice model electic Traxxas 1/16: Slash, E-Revo, Summit etc. 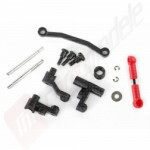 Compatibil cu orice tip de automodel 1/16. Add extreme power and performance to your Traxxas vehicle with this high discharge, high capacity TURNIGY nano-tech battery! In short; less voltage sag and a higher discharge rate than a similar density lithium polymer (non nano-tech) battery. 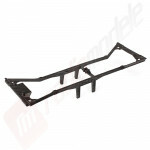 Acumulator Li-PO Turnigy nano-tech 2200mah 2S 40~80C 7,4V cu mufa TRAXXAS.